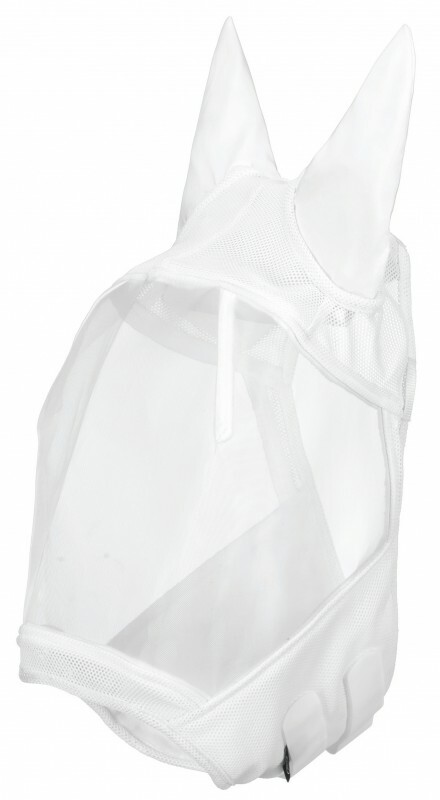 Transparent anti-fly mask with ears and velcro closure at the bottom. The white lycra ensures that the mask fits well and gives the ears freedom of movement. The insert of fine mesh is transparent so the horse has sufficient sight. The mask is fly repellent and UV-resistant. Available in the colour white.